Kyrie Irving is back in Cleveland to make his season debut as a new member of the Boston Celtics. Ahead of the anticipated matchup, Kyrie revealed his exclusive Shamrock Nike Kyrie 3 PE during shoot around. 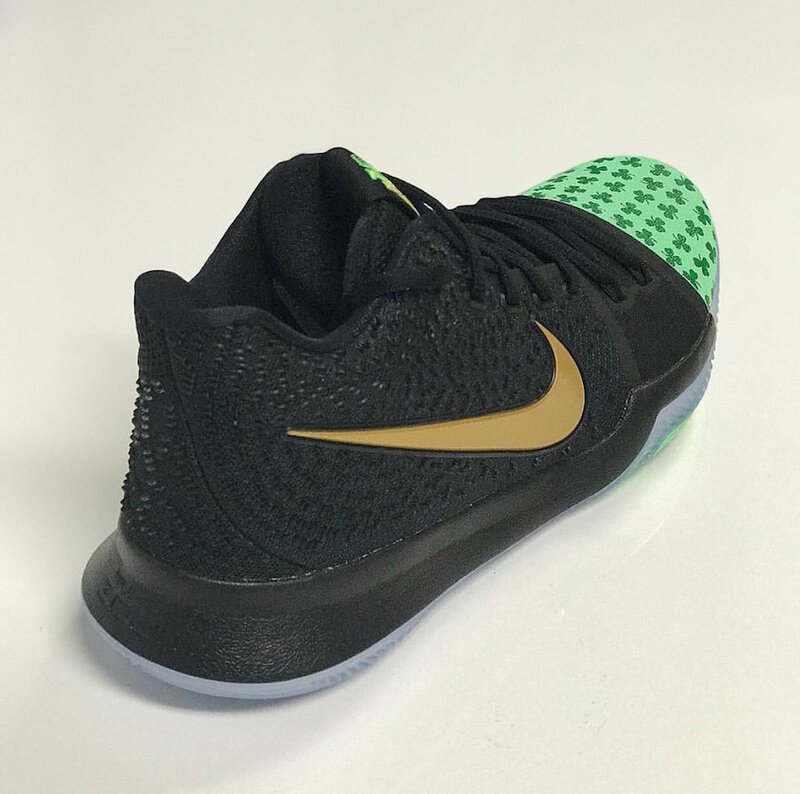 This Nike Kyrie 3 is highlighted with “Shamrock” logos in Green on each toe, while the rest of the shoe’s upper is done in Black. Completing the Celtics theme, the shoe also includes Gold Nike Swoosh logos atop a translucent outsole. 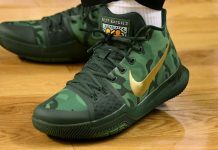 Check out the video and additional photos of the Kyrie Irving’s “Shamrock” Nike Kyrie 3 PE below. Let us know who you guys got in the comments section, Cavs of Celtics?